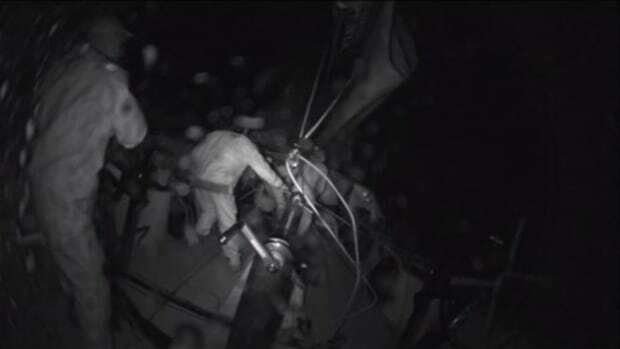 The partial screenshot above shows Gizmo in the BridgePointe Marina slip where she'll likely spend the rest of 2014. I'm a bit sad about tying up long term, but also looking forward to the Fort Lauderdale Show. Memory-Map is a good standalone charting app, as I detailed when their Android edition first came out in early 2012. Going down Chesapeake Bay I still would have had constant GPS plotting on a well-rendered NOAA raster chart as well as easy route making and the right data displays to follow one (even if I have more than a mile of X-Track error in this particular case). But isn&apos;t the tablet a much better navigation tool when it also displays AIS targets, depth, and even the wind speed/direction that motivated me to alter course? On Gizmo it was relatively easy to add all this info as shown in the dialog boxes to the right. I simply set up a TCP/IP connection using the address and port # that&apos;s listed in the setup software that comes with the Vesper XB8000 AIS transpondermultiplexer under test. I could have the Nexus7 tablet talking directly to the Vesper&apos;s WiFi, but a bonus feature of the latter is its ability to join an onboard network; thus, the tablet remains connected to the WiFi router named "M/V Gizmo (Ranger)" and if that&apos;s online I can download charts to Memory-Map if needed, check the weather forecast, etc. 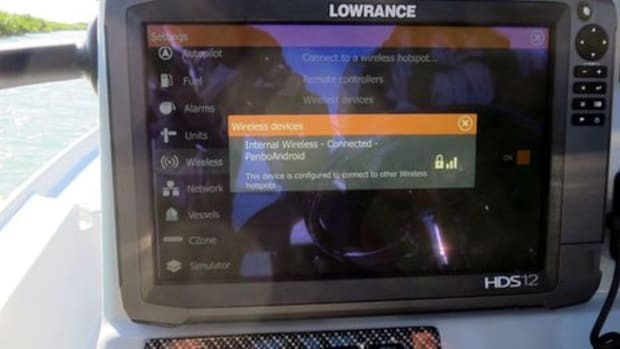 I know that many boaters roll their eyes when this stuff comes up, and I have to agree that an onboard LAN (Local Area Network) sometimes connected to a WAN (Wide Area Network -- aka the Internet -- via WiFi, cellular, or satellite comms) can be a bit daunting to all but IT experts. 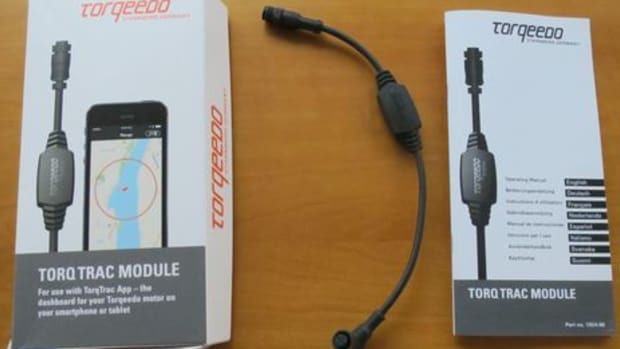 The benefits can be significant, though, and ways to make the boat-data-to-WiFi part work are proliferating. 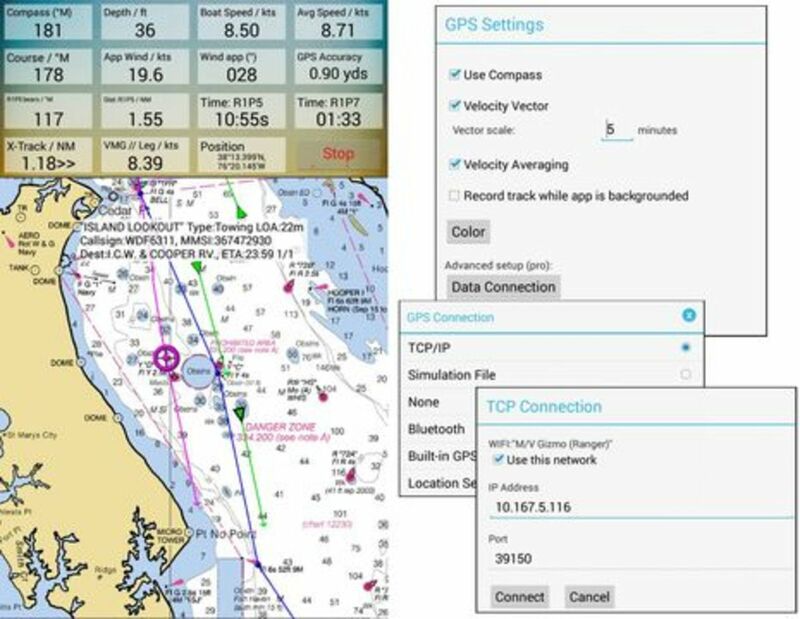 iNavX maintains a good list of NMEA 0183 & 2000 muliplexers and I&apos;ve seen it and other iOS iPad apps work well with Simrad GoFree as well as the Vesper XB and Vision devices. 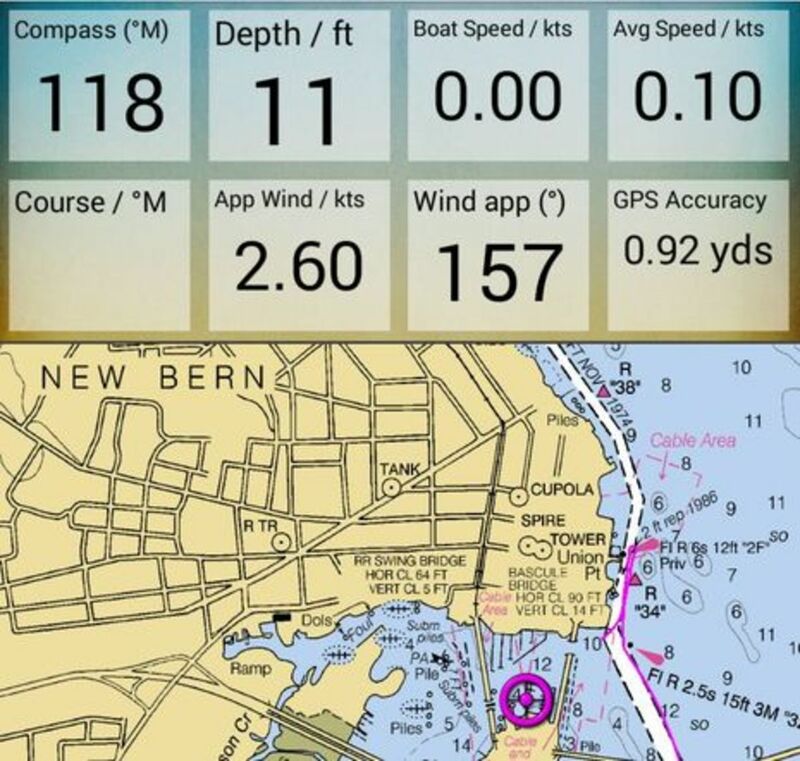 But up until now I didn&apos;t have an answer when people asked about an Android charting app that worked with boat data. I don&apos;t know if there&apos;s something about Android that makes it harder to enable a WiFi data stream or it&apos;s just that many more developers are working on iOS marine apps. 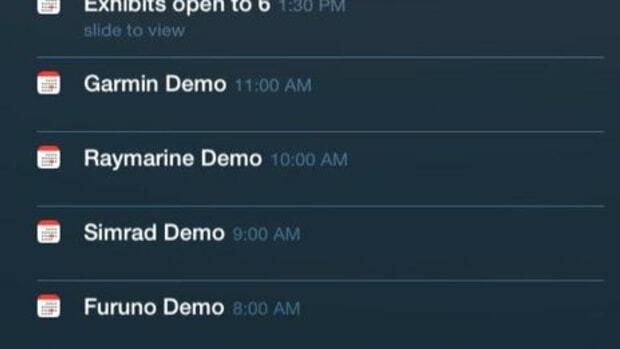 The Android AIS app Boat Beacon can display a boat&apos;s own AIS data (as well as Internet AIS), but the same developer&apos;s SeaNav charting app is iOS only. 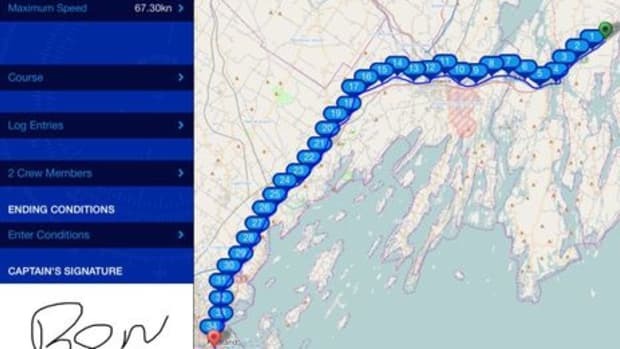 So I think -- corrections welcome -- that Memory-Map is the first full nav app to integrate boat data and one immediate beneficiary is the Android-based Argonaut A615 Smart Monitor, which already shipped with Memory-Map, but now can be even more of a complete nav solution. 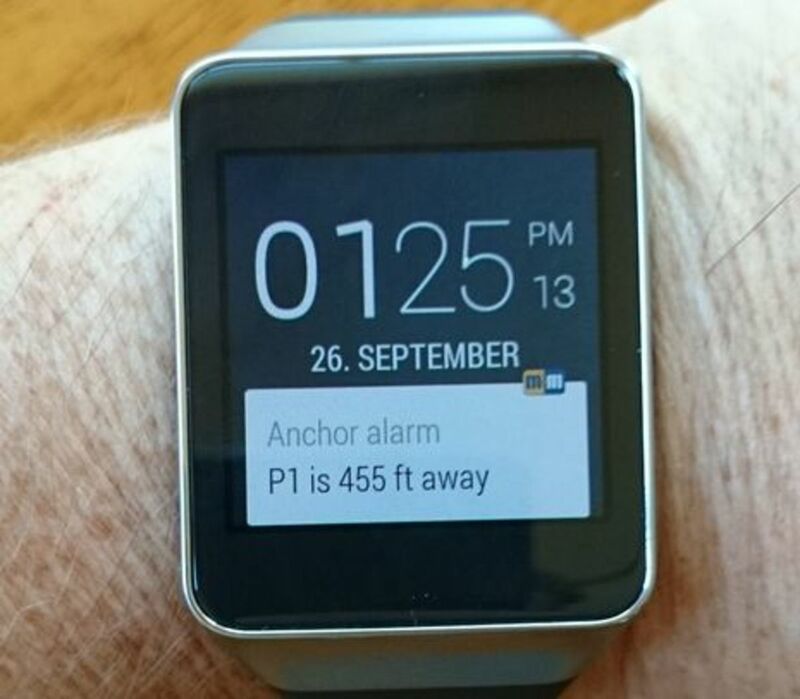 Richard Stephens also sent along this image of a Sony Android SmartWatch displaying a notification generated by Memory-Map Pro running on a Bluetooth connected tablet. AIS targets can also trigger tablet and smart watch notifications, and the parameters can be set differently for Class A and B vessels, though I should note that in the iPad world SeaNav&apos;s interface with the Pebble watch is at least as impressive. The Memory-Map Mobile apps -- besides Android, there&apos;s also iOS and Windows Mobile versions -- are "free" with large area topo maps but after the demo period it costs $10 per year to download their form of NOAA raster charts. These charts have always been fast acting and good looking, but are now even better at high zoom levels because they take full advantage of the 400 dpi (dots per inch) digital format NOAA moved to this year. 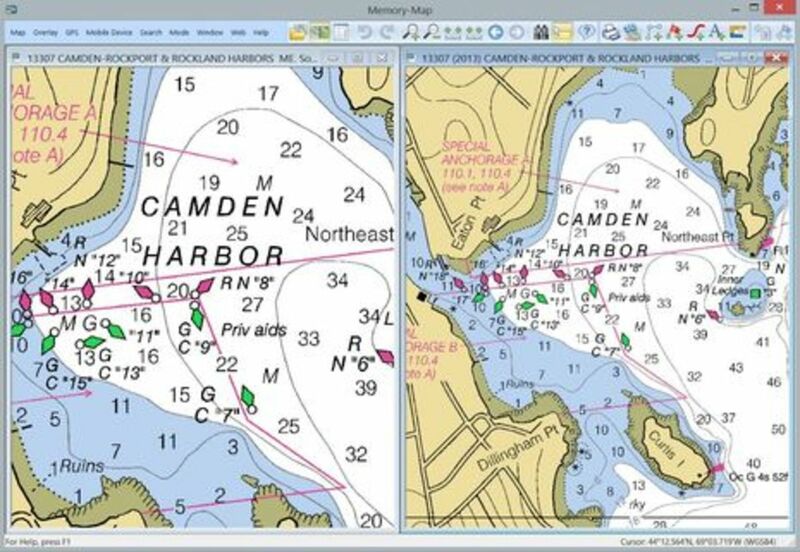 I&apos;ve appreciated the difference in my testing but Stephens sent the Camden Harbor comparison screenshot above made with the Memory-Map PC program that can be used in conjunction with the mobile apps. The new NMEA WiFi data connection is so far only in the Android app and does require a one-time Pro license costing $50. While I also did a lot of radar and sonar testing on the way to New Bern -- which you&apos;ll be hearing about eventually -- I spent further Android time with the Naviotab "Future of Marine Navigation" seen above. 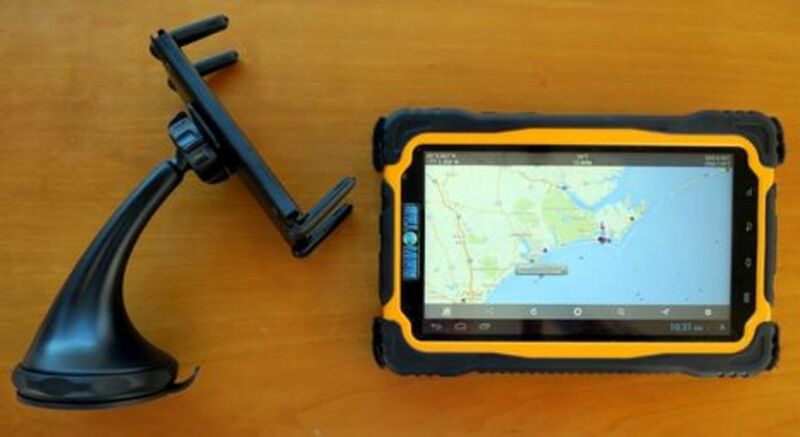 What seems to be happening here is that an established California "weather gadgets" distributor has sourced a high-spec IP67 waterproof Android tablet from China, which it&apos;s marketing to boaters with a year warranty, tech support, bundled apps and appropriate accessories. 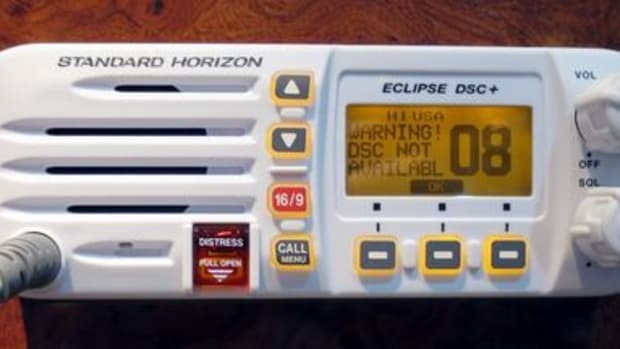 One included app is Boat Beacon, seen above with the optional Naviotab mount. It&apos;s great to see that this app and Marine Traffic both have much better online AIS coverage of this area than they did two years ago -- thank you, onshore volunteers! -- but much of the coast still lacks dense enough coverage to use Boat Beacon reliably without its boat connection. 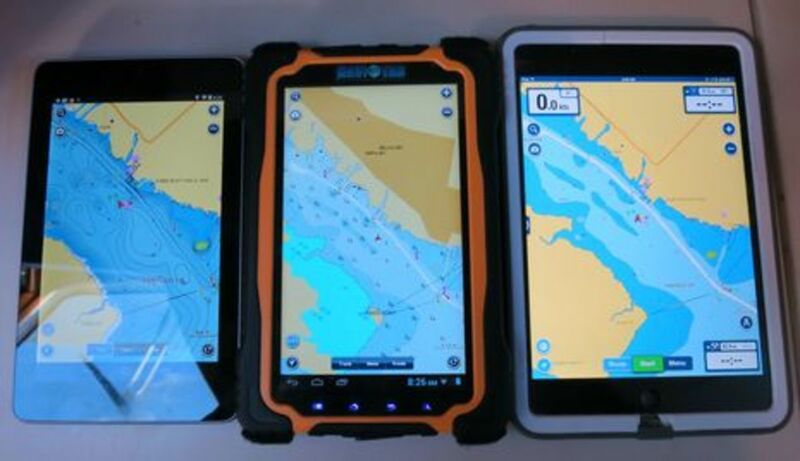 This shot compares the Nexus7, Naviotab and iPad mini, all running some form of the Navionics Boating app but with each showing a different type of chart. 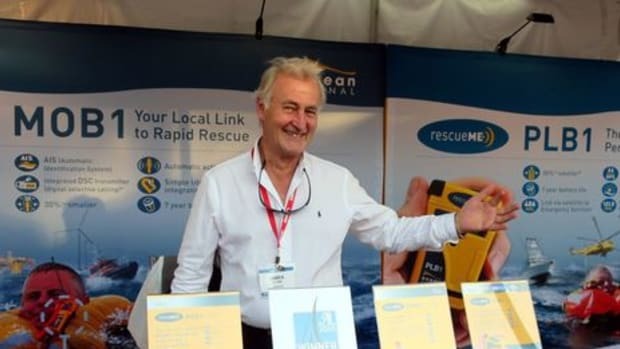 The Nexus has had Navionics US & Canada on it for a couple of years, but in early September the app was auto updated to Boating US & Canada 4.1 with a year of Freshest Data and SonarChart (shown) downloads. Nice! 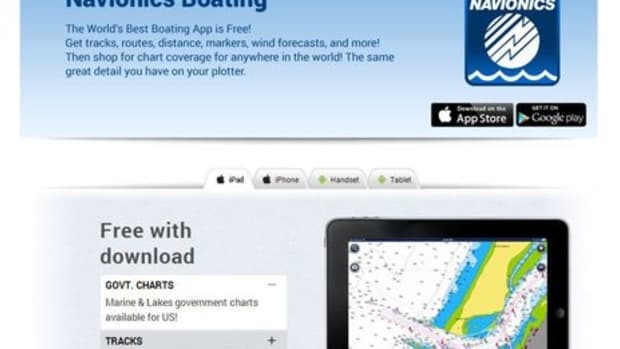 The Naviotab is running the free version of Boating with US "Gov" charts that serve pretty well, and finally the iPad Mini Navionics USA HD app also got a free Boating update and thus is showing an up-to-date Navionics chart. Meanwhile, I believe that the iPad is a tad brighter than the two Android screens and that the two waterproof cases both have anti-glare screen protectors, but frankly none of these tablets is easy to use in bright sun. The Naviotab case -- which is not easily removable, if at all -- seems a lot more rugged and heavily bumpered than the Lifeproof frē case (which I like for its slimness but which is obviously falling apart after a long, hard test life). In fact, the Naviotab seems a bit heavy for their suction mount option, though the mount is stronger than it looks (and RAM offers an alternative). 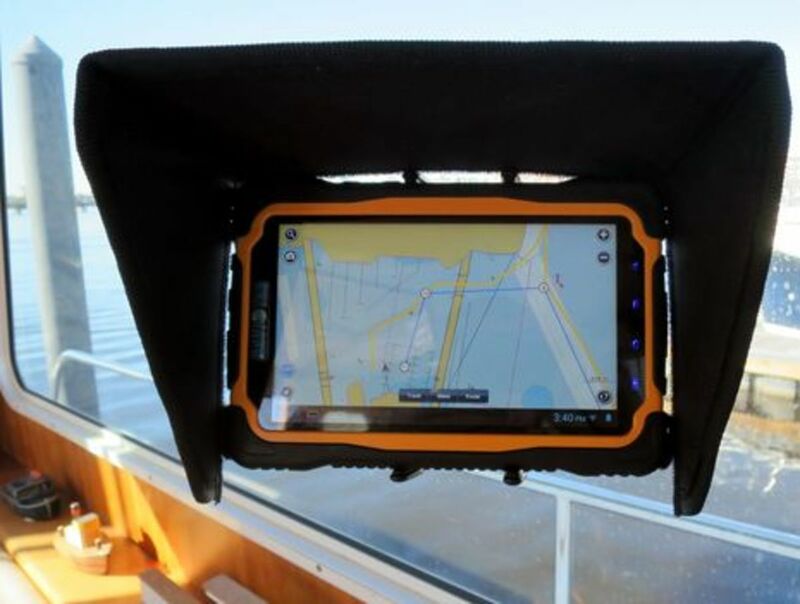 Naviotab also offers a sun shield but while I had found this simple idea very effective with laptop screens in bright wheelhouses, the concept doesn&apos;t work as well with a touch screen. The rugged tablet&apos;s $600 list price is also daunting, though I&apos;ll note that it does include 4G cellular abilities -- you supply the SIM card -- and when I called the Naviotab tech line, an informed human answered immediately. If I were shopping for an Android boat tablet, I&apos;d also check out the new Sony Xperia Z3 Tablet Compact, which has built-in waterproofness and claims a screen "sharp even in bright sunlight." 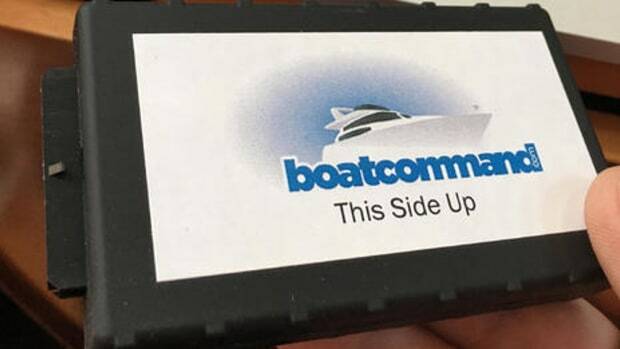 Thanks to Memory-Map, Boat Beacon, and Navionics Mobile -- and maybe others? -- pretty sophisticated nav tools can be had in the Android world.